I don't know if there's an easier or faster way to brighten-up a room then adding fun throw pillows. 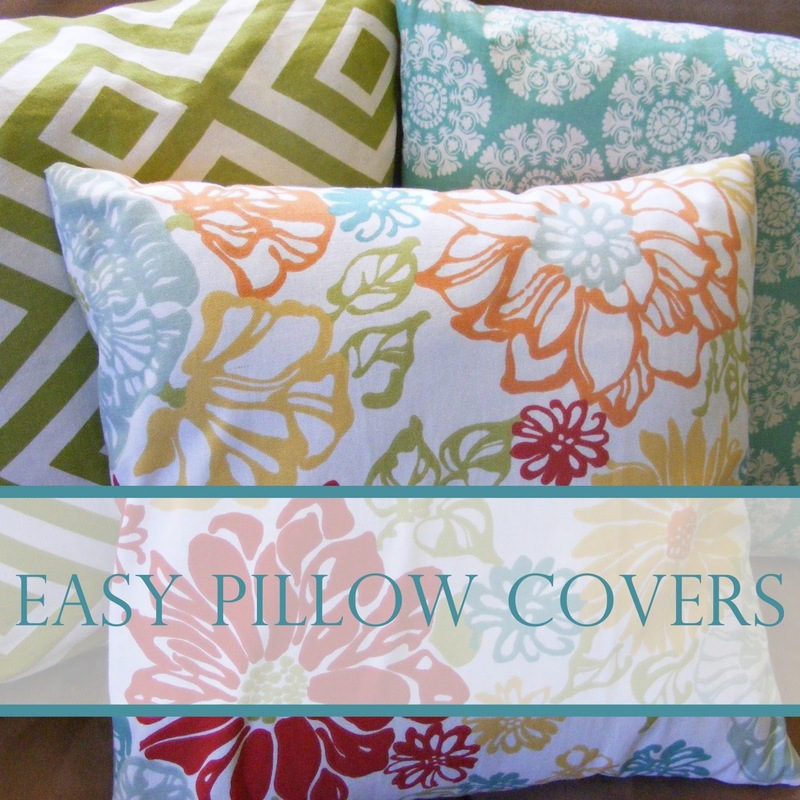 Even better than buying new pillows is making them- or the covers at least. 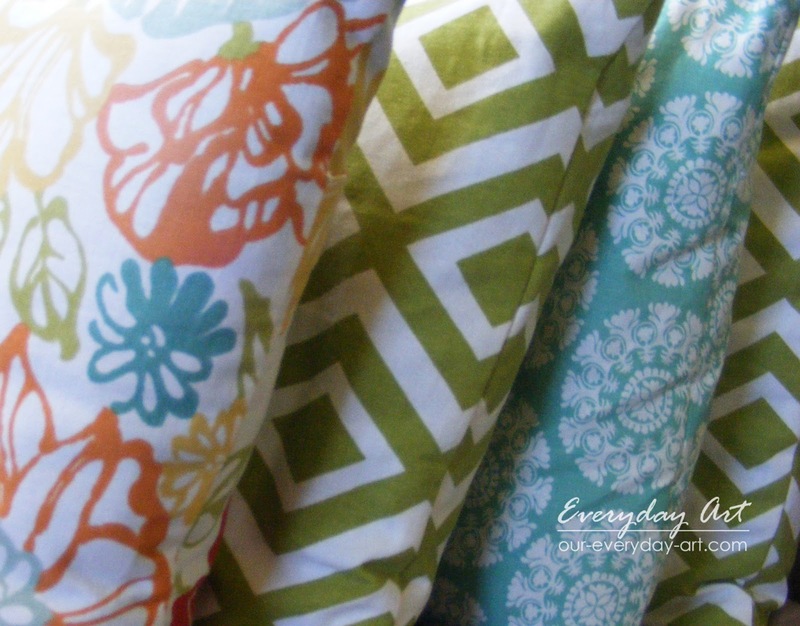 Making them gives you almost unlimited fabric choices and is easy on the budget- and just plain easy. Here are a few simple steps to get you going on your own. 1. 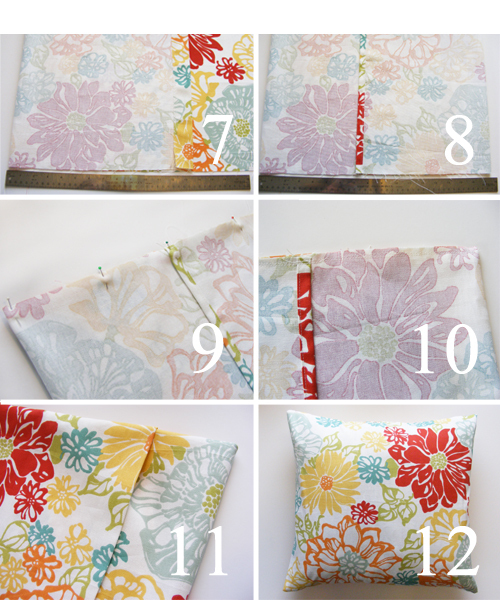 Choose your fabric, this is the hardest part. Cut your fabric. 2.Fold one of your short sides over 1/2 inch towards the back and iron. 3. fold over AGAIN, 1 1/2 inches this time, and iron. 4. 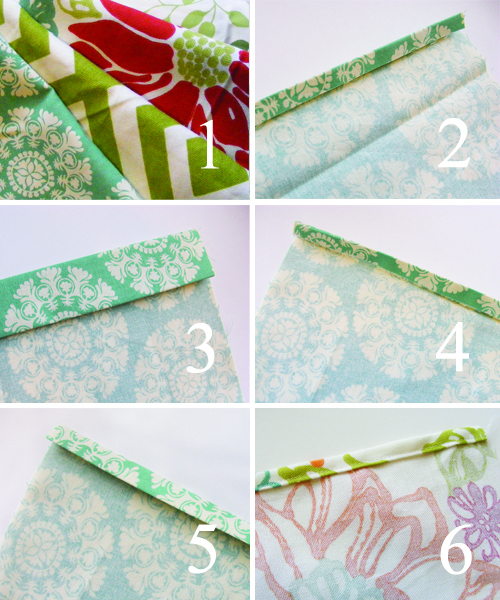 Fold over the OTHER short side 1/2 inch toward the back and iron. 5. Fold over AGAIN 1/2 inch an iron. 6. Sew close to the edge on the side with the SMALLER fold. (or however wide your pillow is minus an inch or so). The folds should overlap. 9. Pin along the raw edges. 10. Sew along raw edges with a 1/2 inch seam. I like to go over this seam a couple times so it's stronger. 12. Stuff your pillow inside! 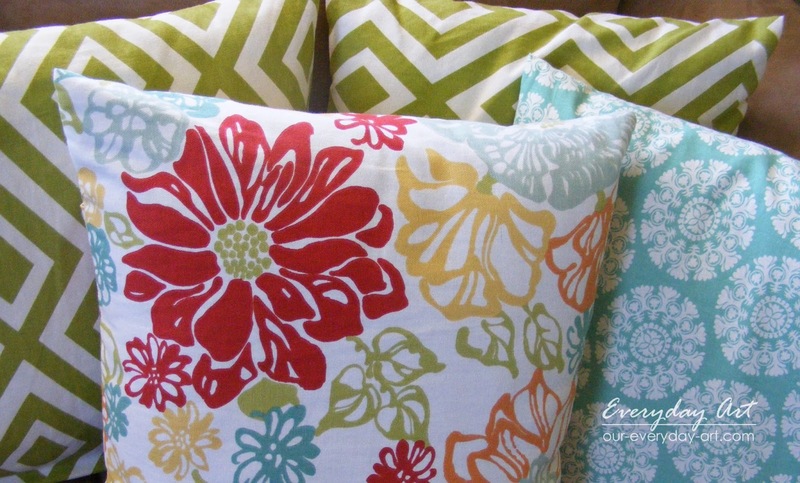 *Yes, the pillow cover I made for an 18 inch pillow measured 17 inches. Making the pillow cover slightly smaller will keep the pillow looking nicer longer, rather than loose and saggy when the pillow gets wear and starts to squish down a bit. wherever you need a splash or color! Super tutorial! You've made it so easy! Now why didn't I think of that?! Thanks. Gorgeous fabric! They turned out so pretty and the tutorial was really easy. Stopping by from Hope Studios. Pretty please share this on a link party that I host with 4 other blogs called Moonlight & Mason Jars. Love the fabric. Where did you buy it? Great tutorial!